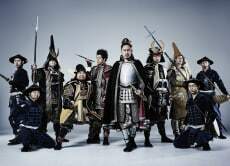 We are Nagoya's Omotenashi Bushotai, a group of professional stunt actors who represent famous warlords from Japan’s history! Come and see our show! Good way to find out the history of Japan and understanding the culture.